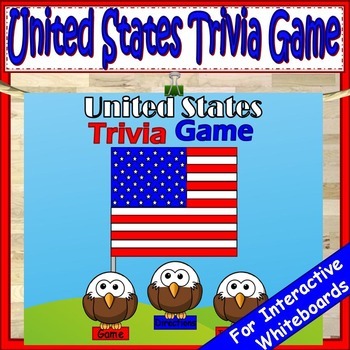 United States Social Studies Kindergarten or First Grade PowerPoint Game: Learn about the United States and celebrate the 4th of July with the United States Trivia Game. 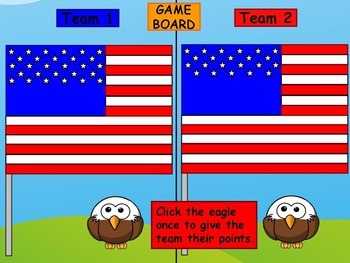 This interactive PowerPoint game is a great introduction activity to learn about the United States. The game is appropriate for kindergarten or first grade classrooms. In teams, students have to find the correct answers to trivia questions. If they get a correct answer they get stars on their flag. The first team to get 50 stars wins. There are 19 questions included, but the file is also editable. 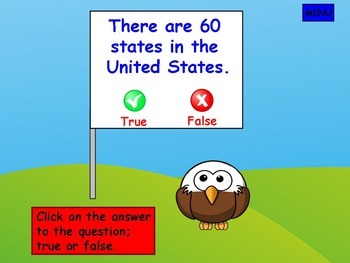 This means you can make your own questions too, for more 4th of July fun!